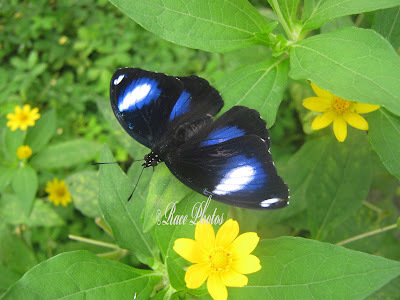 These photos of spotted beetle and spotted butterfly are shots from Josh educational tour in BioResearch mini zoo. The beetle is only a representation while the butterfly is real. 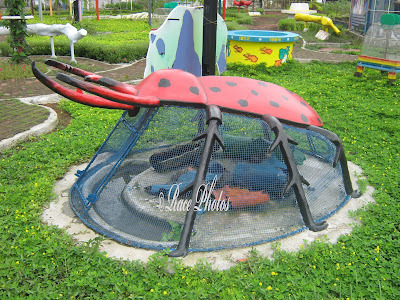 BioResearch is located in Parañaque, Philippines and contains aquatic resources, minizoo, butterfly garden, honeybee, medicinal plants, cactus and many other things that small kids will love to see. They have mini representation or imitation of Philippine volcanoes, castle, dino fossils, dog & cat mansion and a lot more. For more photo hunt 'Spotted' entries just click on the badge above. We were having dinner early evening when my 3 kids started asking me where they will be studying in high school and college. I told them that I will enroll them in a Christian school on their secondary education but for their college it depends on what course they want to study. I told them that there are schools that specialize on certain courses in the fields of business, engineering, IT and some other courses though there are many schools that offer all courses. They were so inquisitive about their future studies and I told them to take things in due time. First I told my little boy to think only of entering primary school then I told my young girls to concentrate on thinking for their high school education. I advised them to feel in their heart what they really want to do after schooling so they can come up with a desired course and then we can look for school that will give them proper education on their chosen field. My Mom just listened to us while we were discussing it and smiled at the innocent questions of my kids. Anyway it’s a healthy discussion and I really enjoyed it. I remember my last year in high school where we had some professional guest speakers who enlightened us on different careers to take and explained some points on every career that we asked just like in Pennsylvania Construction Career Day where they provide a way for high school students to know career opportunities in the field of construction like highway design, construction and maintenance. It’s a day for students to know the many facets of construction industry and well paying job openings in that field like Drafting Jobs In Construction PA and other engineering and construction jobs. What greatly interests me is their activities that students can take part in hands, view exhibits and demos, be able to operate construction equipment and the chance to talk to the educators and to school that offer such courses It’s like having an on-the-job exposure of the construction industry.